Many senior executives still view GIS as just a component, albeit a vital component, of operations groups instead of a strategic tool to help run the business. Executives do not necessarily see the GIS as a strong tool in helping solve their big problems. When I visit with senior executives from the power industry, I like to ask three questions: “What’s your biggest problem?” “What are you doing about it?” And, “How do you know that what you are doing is really solving your biggest problems? Answer the question “Why?” Contrast customer satisfaction in two neighboring block groups and identify drivers of satisfaction. The mapping system is out of date (although it probably is). The data is inaccurate or missing key pieces of information (again, it probably is). We are missing cool mapping tools (which they probably are). We have serious budget issues. People are rapidly adopting solar panels and we are losing money. The board of directors is coming down hard on us to cut costs to maintain earnings. The press is hounding us about all-too-frequent outages. People have a negative view of us. So, what’s GIS or spatial technology got to do with their big problems? Plenty—if the GIS is seen as a mapping or location platform for the utility and not just a mapping machine. I recently had a chance to meet with a senior executive from a large power company. I asked her the simple question, “What’s your biggest problem?” She replied without hesitation, “Customer satisfaction.” She said that for the past several years their company had been ranked lowest in customer satisfaction compared with neighboring utilities. The board was furious and told her to fix it. I then asked, “What are you doing about it?” She rattled off a couple initiatives, like sending the call center employees to sensitivity training, stepping up the smart meter roll out, and increasing tree trimming to improve reliability. I asked my follow-up question: “How do you know that what you are doing is really solving your customer satisfaction problem? Answer the question “Where?” See where your customer satisfaction ranks by block group, as seen here in Westerville, Ohio. I gave her three reasons. Where? Why? And, What to do? First, by mapping the results of customer satisfaction surveys, she would find out where people are most unhappy. Second, she could use the utility’s GIS-based location platform to discover why that might be the case. The utility could take all kinds of historic data from both inside and outside the company, perform spatial analytics, correlate demographic data and social media, and combine this with customer satisfaction data to gain insight into why customers are unhappy. Once she knows where and why customers are not satisfied, she could figure out what to do about it. She could craft a solution that focuses on the area of greatest need. She could even use the GIS location platform to track and visualize progress and success. The strategy is simple, elegant, and focused on solving her big problem. Having a GIS-based location platform puts real decision-making knowledge into the hands of people who need it the most. It puts the right information into the right hands on any device. 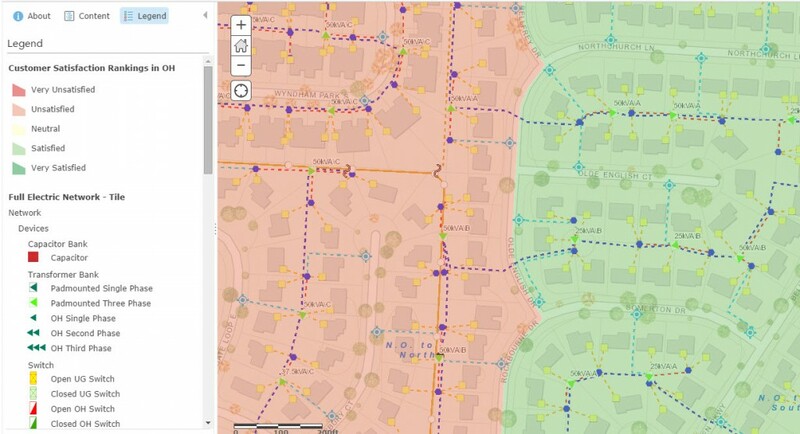 To learn more about how GIS is a location platform for you utility business, please visit http://www.esri.com/software/arcgis/arcgis-for-electric.